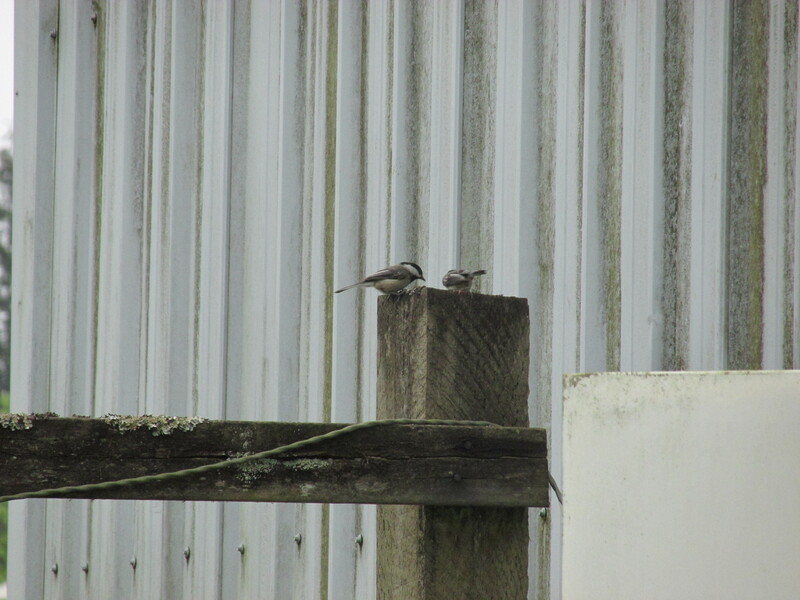 Rather late in life – I decided to start keeping track of the birds I see during my normal day. Since I live in the country with acres of forest – many of these were seen around my home. 1. Great Blue Heron – This was taken by my phone camera. I looked out the window one morning and could not believe what I saw (5-Jan-2014). 2. 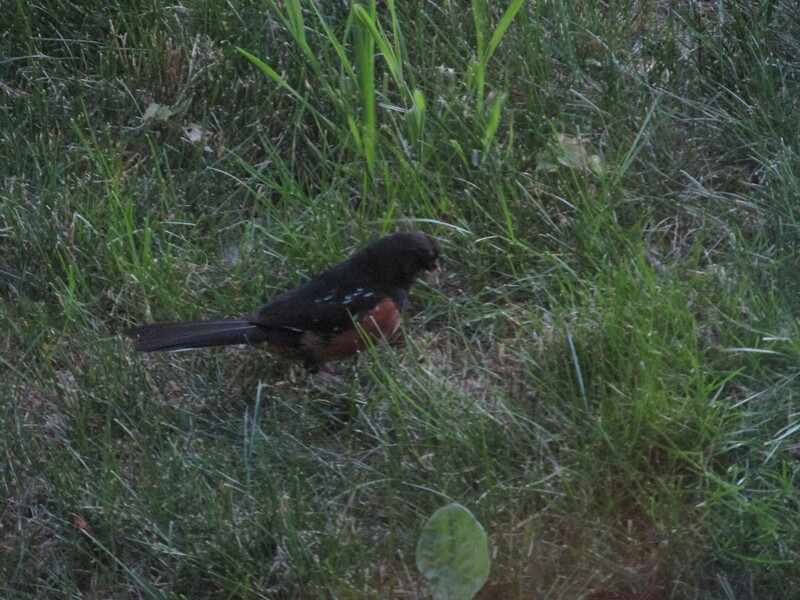 American Robin – This guy was my first photographed bird with my new camera (Canon SX170 IS). He was out in the horse pasture (13-Apr-2014). 5. 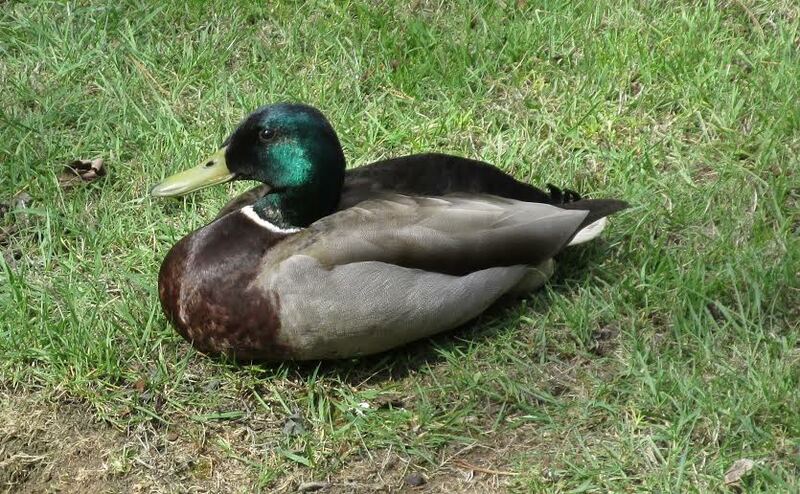 Mallard – This guy was taking a nap behind my office building (where there was a pond) (14-Apr-2014). 6. Red-breasted Sapsucker – Normally I see them on my antennas – but this one was making a lot of racquet in a tree. (15-Apr-2014). 7. Mourning Dove – Found two of them one morning – one on my antennas and the other closer to the nest on a wire (21-Apr-2014). 8. Steller’s Jay – Very common but camera shy sometimes. (24-Apr-2014). 10. Barn Swallow – These guys are nesting in the neighbor’s barn. They also enjoy flying around me when I mow the field. (25-Apr-2014). 12. Audubon's Warbler (sub species of Yellow-rumped Warbler) – Accidently got in the shot when trying to get the Brown Creeper. Another shot of the same bird. (26-Apr-2014). 13. Brown Creeper – There were several of these guys flying around and going up various tree trunks. (26-Apr-2014). 14. Rufous Hummingbird – These look pretty different than the other hummingbirds we have year round. 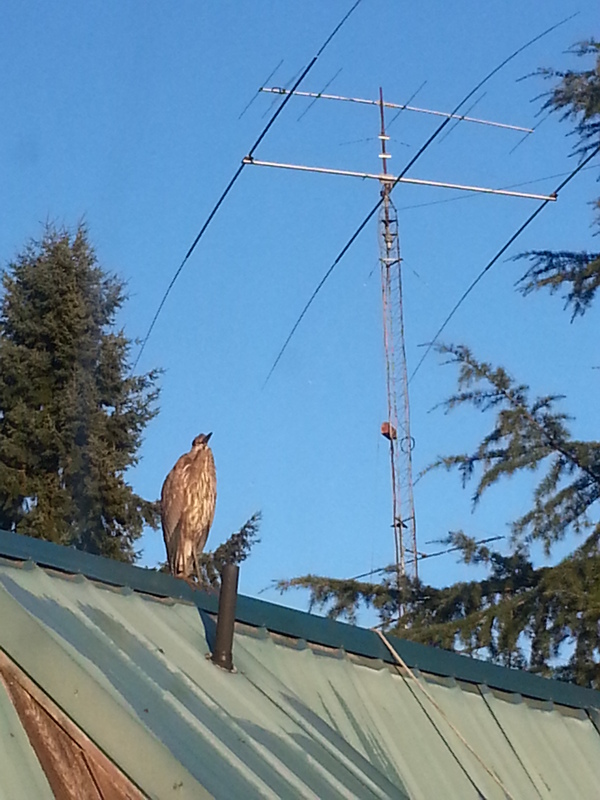 Here is the same bird’s back. (3-May-2014). 15. Scrub Jay – The other blue jay that we see here. (4-May-2014). 16. 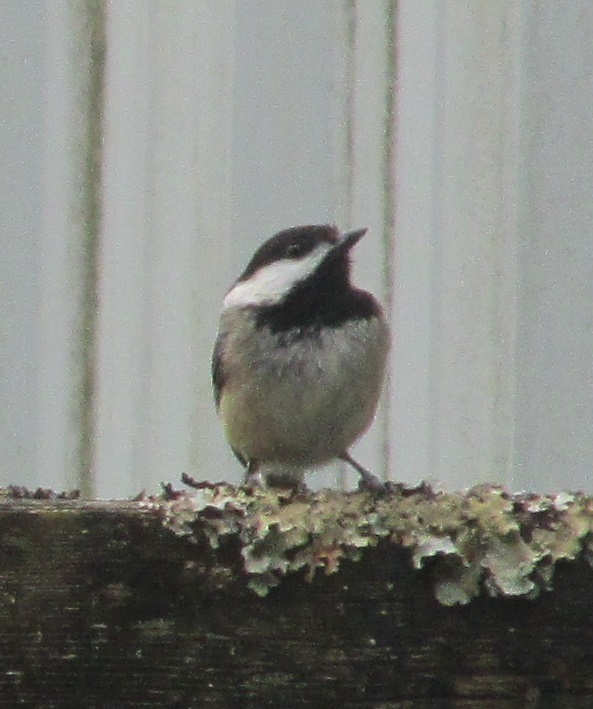 Black Capped Chickadee – Found two of them hanging from small limbs on our cherry tree. (5-June-2014) Picture of both of them. 18. KillDeer – Heard the distinctive sound coming from the horse pasture. I had never seen one around here before. Used to see them at Intel all the time.